Reflecting on the ways that swallows move about the earth reminded me of the time, in 1996, when Ivan Illich agreed to speak at Doors of Perception in Amsterdam. Our theme that year was ‘speed’. The philosopher surprised us by bringing along two fellow speakers: Sebastian Trapp, a field biologist, and Matthias Rieger, a musicologist. As Illich described their approach at the time, “we went back into history to distance ourselves from modern certainties, to see whether we could find speed outside our speedy society”. The three texts were revised after the conference – and each one is as fresh today as the day we heard them in Amsterdam – so this seems like an opportune moment to run them again in three parts. “In the early morning of February the 18th, 1248 the people of Parma in northern Italy attacked the enemy that had besieged them. They bursted out of their town and stormed Victoria, the city the hostile army had built and named so self-assured. They knew that the Emperor who had assailed them and his most important men were not there. For several months the Parmesians had observed the everyday-life of their hated enemy and they knew, therefore, that the right time to attack was when the Emporer left his camp to hunt with his falcons. The Parmesians were successful; but more than that, they not only defeated their enemy, but spoiled him of nearly everything. They took the crown that he wore on high feast days, a marvellously crafted work of art studded with diamonds and ‘as big as a pot’, as a contemporary recorded. Furthermore the seal of the King of Sicily fell into their hands, forcing him to issue several decrees in order to prevent its abuse by his opponents. The Carrocio of Cremona, a pompous waggon decorated with flags, was the most famous trophy. The enemies of the town of Cremona, which was allied to the Emperor, could not resist the temptation to take souvenirs; shortly after the victory there was little of it left but the wheels. The only truly unique and unreplaceable booty of the expedition was not listed in the chronicles. It is a manuscript, specially prepared for the king, wrapped in leather and ornamented with gold and silver, the text embellished with paintings and miniatures. It was seen for the last time tweny years after the battle of Victoria — it is mentioned in a letter written in 1265 — and was never found again. It is the book, On the Art of Hunting with Birds, written by the besieger of Parma himself — Frederic the Second, King of Sicily and Jerusalem, and Emperor of the Roman Empire. Because of other, lesser copies, it is still in print today. Reading the book one cannot help but be deeply impressed with the extensive knowledge Frederic had compiled, not only on the breeding and training of the falcons he used for hunting, but also on their anatomy and their illnesses. But the scope of the huge book is much greater than that: it covers not only birds of prey, but the life of all different kinds of birds, with detailed insights into their life-cycles, their preferred habitats, their habits including their travels in autumn and wintertime and much, much more. In modern language one would say that he gives a detailed account of the anatomy, behavior and ecology of birds including a taxonomy. In the fourth book of his Opus, Frederic describes the different ways falcons attack a standing crane. He gives his opinion on the reasons for these different tactics: ‘Of those falcons one throws against standing cranes, some fly high, others low and others again in medium altitude. […] Those, who fly high, straight and fast, do so to get faster to the crane which they choose and be able to swoop down on him harder. ‘Those who fly in a curve and fast, do so to get the best direction of the wind, if they aren’t thrown directly against it. Perhaps now you begin to get an idea why I talk to you about this old and little known book. After all, this is a conference on speed, not on possible grandfathers of modern natural science, be they ever so fascinating. But Frederic II can serve me as a starting point for the argument that I wish to present here. For this argument it is important that, while he may have lived long ago, he was in many ways a very modern man. He was modern in not believing what he had not actually witnessed himself. He was modern in his attention to details and in his attempt to understand what he had seen in relation to their setting, the environment in which the observation was made. But in another respect he is very old-fashioned: he never talks about speed. Frederic is using those words, but he never talks or thinks in terms of speed. He never compares one falcon in being faster than the other, let alone the speed of a falcon to the speed of his prey. Today this is very much possible. 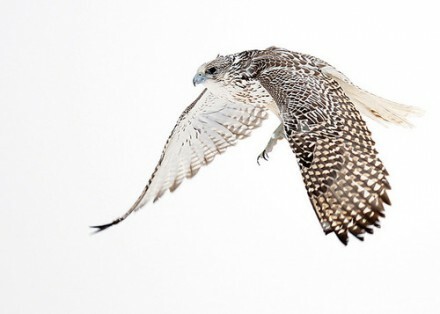 In school textbooks one can read that the falcon reaches a speed of up to 200km/h, much faster than all the birds he attacks. But this – being faster than other birds – is not the reason why falcons are successful hunters. Frederic, who devoted much of his life to hunting with birds — too much of his life, many would have said — knew why they are. In fact, the idea of seeing the reason for the falcons success in his extraordinary speed could not occur to him. The reasons are two-fold: the first lies in our culture. The concept of ‘speed’ as we know it is a very recent, a very modern one. The Oxford English Dictionary gives old meanings of speed, which sound strange and alien to us: abundance, success, fortune, lot, assistance, help. Today, if somebody talks about ‘speed’, we understand it to be the property of a process, mostly a movement in time, that — at least in principle — can be measured by an instrument, by a technical device, and therefore can be compared. This notion of speed — as expressed in units like km/h or r.p.m. — connotates a uniform movement. It is a mechanical speed. Mechanical speed was invented together with the railroad. Before this people travelled by coach. Not only did they see how strenuous it was for the horses to pull the carriage, but they themselves were shaken up and down so that at the end of the journey animals and passengers alike were exhausted. The movement was a highly irregular one; at every turn, at every obstacle the coach slowed down and after a while the horses tired and became slower. This irregularity of the movement was seen clearly once the railroad was invented. In 1826 an advocate of the railroad described the movement of a horse as ‘limping and irregular’ and compared it to a locomotive which drives ‘uniformly and fast on its rails, not the least constrained by the speed of its movements’. It didn’t take long until the perception of travelers changed and the uniform and fast movement of the locomotive was seen as natural, whereas the nature of the animals pulling began to appear as dangerously chaotic. Therefore it is not surprising that as early as 1825 one predicted that ‘soon the nervous man will board a wagon pulled by a locomotive and feel much more secure than he did in the time when he travelled in a coach drawn by four horses, all of them differing in strength and speed, being stubborn and uncontrollable and subject to all the weaknesses of flesh’. So the kind of speed that we talk about today — and that we talk about at this conference — came into being more than half a millenium after Frederic’s death. He could not talk about speed in the way we do. The second reason is much more important for me. It lies in the nature of the falcon, It lies in the nature of his prey and in the nature of nature. To talk about the speed of a falcon is an abstraction, an a priori that, at least for some purposes, can be a meaningful one. But it is also a distraction. It distracts from the way in which falcons actually hunt. Comparing the speed of the falcon and the speed of his prey leads us almost inevitably to the image of a race, with the end being the falcon reaching the other bird, and ultimately, the kill. But a falcon should — and would — never try to outpace his prey. Frederic — who for living in the middle ages couldn’t be distracted by the modern notion of speed — saw that clearly. He knew that there are birds (he gives the example of the bittern) who, if a bird of prey would fly after them, trying to catch them, would throw their excrements towards it. Taking into account how caustic these substances can be, this would be a serious threat that any pursuer would definitely try to avoid. So Frederic never saw the hunt with birds as being a kind of race. The quotations I gave show that clearly: He always describes the behaviour of the falcon — how it leaves the fist, how it approaches the prey, what it has in mind when choosing a certain route to the crane. He considers where the cranes stand, what they do and which method to attack would be the best for the falcon, the ‘most laudable’ one, as he puts it. In all this flying, curving and circling, the rousing and gaining altitude, the hesitating and swooping down, in all this, there simply is no place for our notion of speed. When I say, ‘the falcon reaches a speed of up to 200km/h’ then I talk only about a very brief moment, a blink of the eye, in which the falcon approaches something that is compatible with our idea of speed — mechanical speed, that is — the moment where he darts down on the other bird, the wings pressed against its body, unable to steer and therefore moving in a straight line. This is the only moment where our idea of speed is actually applicable, and it is only this moment that is addressed in the textbook. A second later — when the claws of the falcon hit the other bird, it tumbles, catches itself, tries to gain altitude —‘speed’ again is without any real importance, even for the human observer. This also holds true for humans, at least in principle. But technology has prolonged enormously the moments of mechanical speed that we experience. We are used to sitting in a train, taking an airplane or driving along a motorway in a car. We are used to the experience of uniform, mechanical speed So much so, that for us it even makes sense to talk about the ‘speed’ of a pedestrian, even though he may stop all the time, talk to other people or look at the window of a shop. For an object moving as irregular as a pedestrian we manage by talking about ‘average speed’. The first passengers of the railroad were irritated and confused by the uniform movement of the train, unaccustomed as they were to the sensation of speed within a machine which ridiculed their own rhythms. It took quite a while until people started to get used to places they knew floating by as a landscape, impressions that are much too familiar to us to be noteworthy. We — being transported all the time — are so much used to the kind of speed machines produce that to us ‘speed’ makes perfect sense. Looking at a falcon high up in the sky or at a kid romping and roving about in the street, I doubt very much that this notion of speed, brought forth by the machines which humans invented, is the idea one should have in mind talking about humans themselves, about ourselves. It doesn’t really matter wether we wish the ‘speed of the human society’ to accelerate or to slow down — as long as we look at humans with speed in mind, we won’t look at humans humanely”. Can you help? We cannot find one single photograph of Illich, Trapp and Rieger on stage (in November 1996): if you have one, please share. This entry was posted in energy & design, mobility & design. Bookmark the permalink. Post a comment or leave a trackback: Trackback URL.